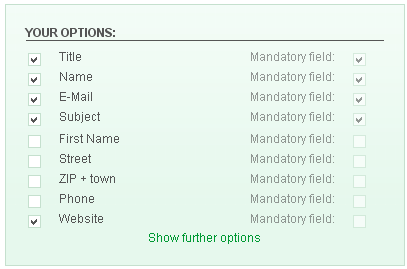 1.Select your contact form fields and decide they are mandatory or not. 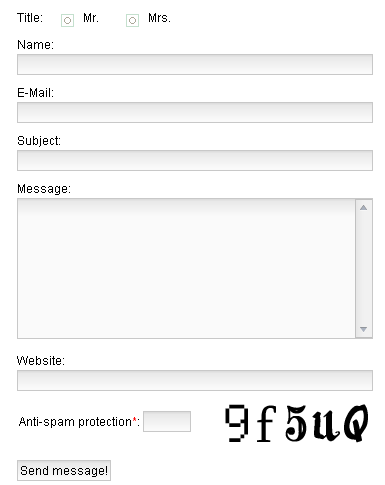 2.Select colors,fonts,... for your contact form. 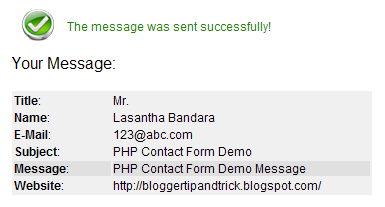 4.Now press on "Create" button.html code for your contact form will appear.Copy and paste this code to your website. Importance of this contact form is it can submit without Page Rrefresh.And also after submit this contact form thank you message will appear. If you like to add this contact form you can get it from http://www.foxyform.com/. Create blog post with title "contact" and add this code to your blog post.Now change the post date to a older date and publish your post.Now copy your post URL and link it to the main page with anchor text "Contact". woow. .thx's for info. . I love your instructions, they seem so easy - but when I paste the code into my website, I get a window saying "Cannot find the form.php.htm file". The contact form uploads o.k. except that all the html code shows in the 'message' part of the window and there is no 'submit' button. wow, I am searching for this form. Thanx a ton body.